Nikhil Siddhartha’s upcoming crime comedy, Sankarabharanam, has been the talk of the town ever since the film’s stunning teaser was released. 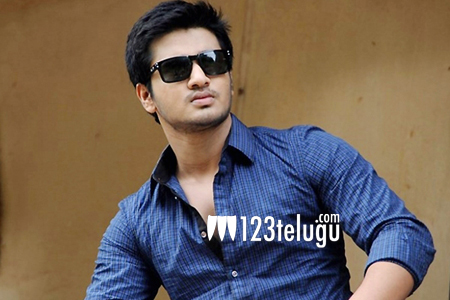 Nikhil, who plays an NRI in forthcoming Telugu crime-thriller “Sankarabharanam”, says he spent over a month in New York to sink his teeth into the character of an NRI. Speaking to a leading newspaper, Nikhil revealed, “I wanted to observe NRIs from close quarters, so I stayed in New York for 45 days before we started shooting. It helped me in the preparation for my role and getting all the nuances of the character right.” In the film, he plays a rich ABCD, who has never been to India. “. Debutante director Uday Nandanavanam has directed Sankarabharanam and senior writer Kona Venkat presents it. Nanditha Raj is the film’s heroine and Anjali plays an important role of a Bihari don. The movie is getting ready to release on December 4th.